On Friday 25th of September the ‘Housing, Everyday Life and Wellbeing’ team participated in ‘Explorathon 2015’. We had a stall at Kelvingrove Museum where we told visitors about our project and asked for their opinions on high flats in Glasgow. Did you live in any of these flats in the 1960s and 1970s? Do you agree or disagree with these opinions? Luckily we had several undergraduate volunteers to help us interview people on the day. 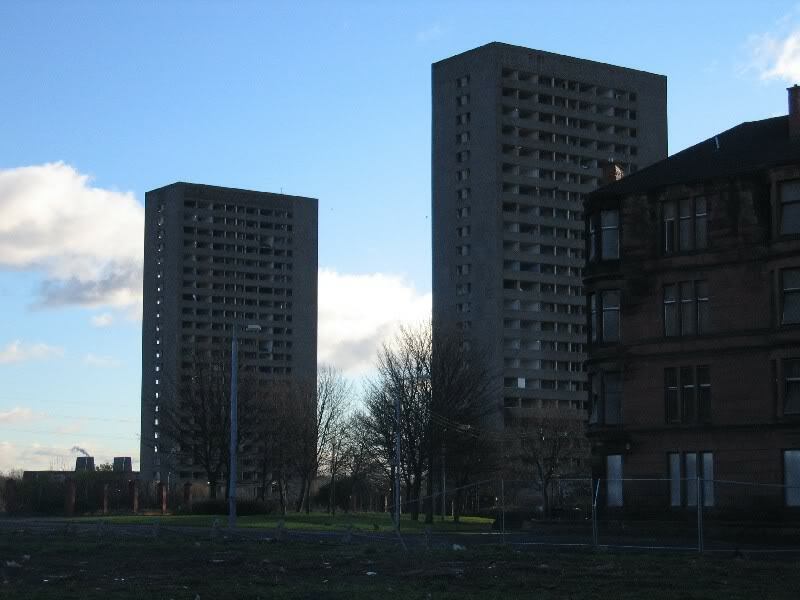 Glasgow: the city of the high rises, the city of division, the city of change. 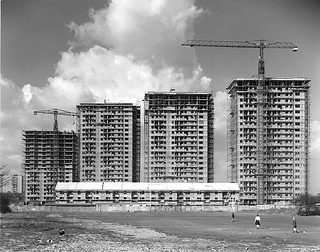 As the notorious Multi-storey flats of the 1960’s continue to vanish from our skyline as more ‘habitable’ forms of living are constructed in their place, it is important to keep the memories of the multi-storeys alive. Glasgow City Council announced their goal of ‘delivering on better housing’ and their determination to ‘not repeat the mistakes of the past’. Just how inadequate these flats were to live in was something I was interested to help research alongside other history students, not from the history books, but from the people themselves. 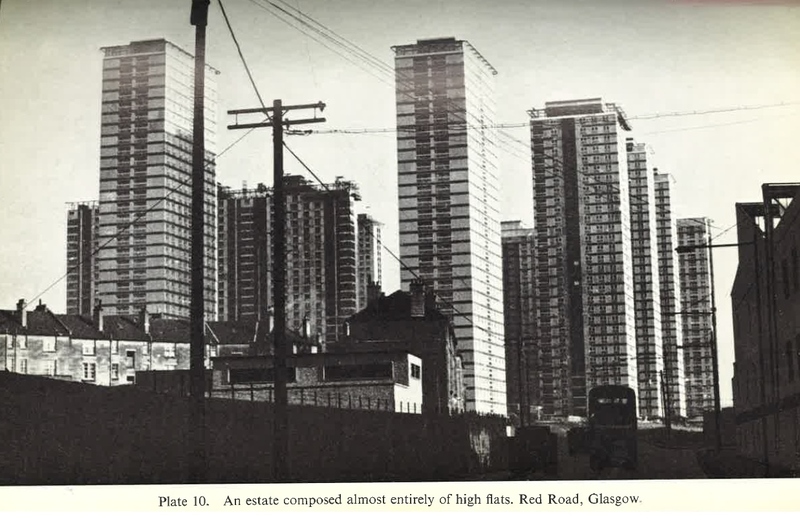 The high rise flats have been iconic in the history of Glasgow and post-war Europe as solutions to a housing crisis exacerbating poor conditions and overcrowding amongst the working classes. These buildings changed the way the ordinary Glaswegian lived as people were uprooted from the inner city slums to the flats on the outskirts of the industrial centre and it is on that notion why these flats are so important in history. In Kelvingrove Museum at Glasgow University’s ‘Explorathon’ event, it was a pleasure to assist the ‘Housing, Everyday Life and Wellbeing’ research team from the University. 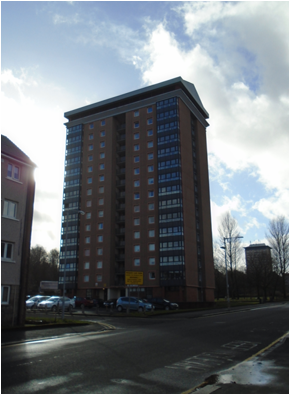 We were able to discuss Glasgow’s post-war housing with members of the public and find out their opinions on multi-storey flats, but most importantly hear the voice of experience. As a history student at the University, it was a great opportunity to see Oral History in action for the first time. The smile that spread across many elderly people’s faces when asked about their life in a multi-storey was really heart-warming. What we found most obvious was society’s influence on people’s opinions very dominant during the interviewing process. It revealed a clear generational gap and class divide amongst the people we interviewed. There was a huge amount of negativity towards the High Rise flats of the younger generation who had never lived or had even visited a High Rise Flat. They portrayed the negative stigma that has been attached to the High Rise Flats disseminated through generations by popular culture and society itself. The real problem with high rise flats lay within the poor infrastructure, their upkeep and the types of residents who inhabited the flats. The residents of high rises were mainly working class from the East End of Glasgow. As the event was held in the West End of Glasgow we were inevitably subject to class bias. The social divisions between East and West can be measured and exemplified in difference between life expectancy, poverty, housing, unemployment and educational attainment today. 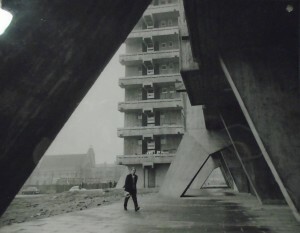 This may explain the negative stigma attached to the high rise flats from those we interviewed to an extent, but it also highlights the need to discover the true experiences of those who lived there, instead of forming our opinion based on our social class. What was most interesting was the complete contradiction of the younger generation’s negative opinions of High Rise Flats by the more positive approach from the older generation. Although they noted their structural failings and reluctantly accepted their need to be demolished, they were very much content with their experience in a post-war multi-storey flat. At the time of their popularity, these flats were a haven which many of the working classes in Glasgow never thought they would experience. I was personally, really taken aback by the emotional and sentimental approach past residents had towards the high rises. These were people’s childhood homes, first homes with their other half and a new way of life. Now, the landmarks that towered over the city no longer remain, just their concrete foundations in derelict areas in the East End of Glasgow. The most thought – provoking part of my experience was the realisation that the memories of the multi-storeys that survive are now tainted with stigma attached by the younger generation. This project is not only important for Glasgow’s History but for Glasgow today. The voices of those who experienced life in these buildings, so central to the history of the post war Europe, have an outlet in which they can be heard. After all they are the only living evidence we have left of life in Glasgow’s Multi-Storey’s.